As expected, Apple made the new iPad Air 2 official. Apple has made the new iPad Air thinner than a pencil and lighter, which now stands at just 6.1mm and weighs less than a pound. 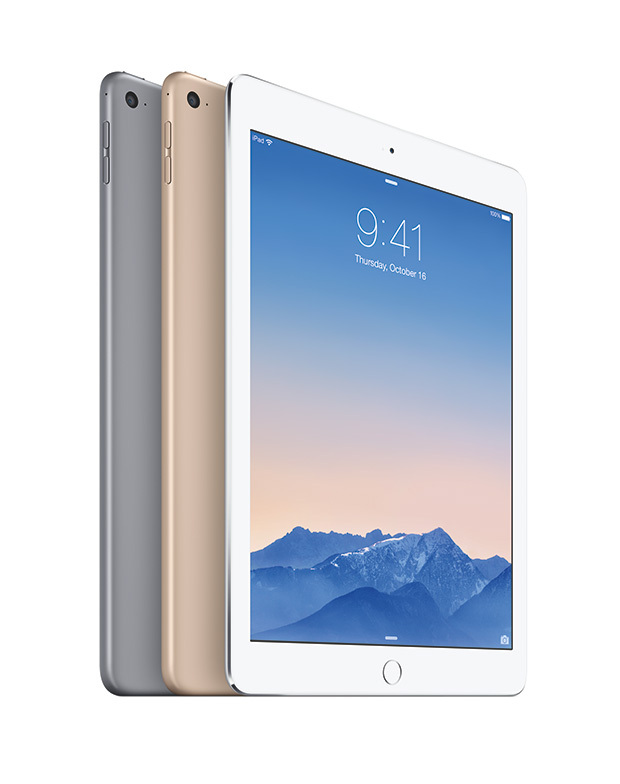 The iPad Air 2 features Apple’s iconic unibody enclosure with an anodized aluminium body finish for a premium look. 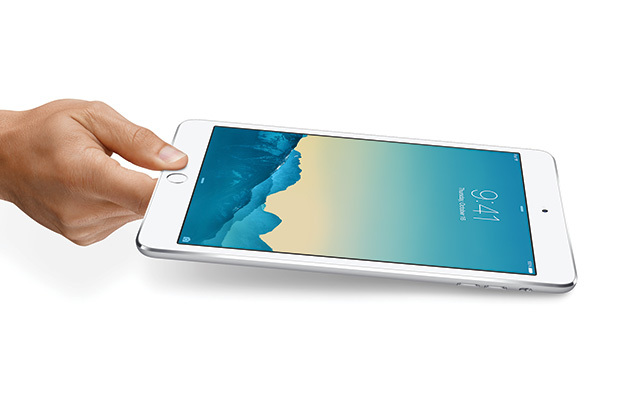 Internally, the iPad Air 2 is powered by Apple’s A8X chip that is said to have a 40 percent improvement in CPU performance and 2.5 times improved graphics performance compared to the first iPad Air and even supports Metal – Apple’s graphics technology for high resolution games, M8 motion processor and Touch ID fingerprint scanner. Apple’s focus with the iPad Air 2 was the camera and they’ve made some big improvements by integrating an 8 megapixel iSight camera and improved front-facing FaceTime camera. Apple has also introduced time-lapse video support, slo-mo, burst mode and brighter picture quality from the FaceTime camera. There’s also enhanced LTE support, Wi-Fi 802.11ac MIMO and iOS 8.1 running out of the box. iPad mini also got a successor in the form of iPad mini 3. The upgraded model now features Touch ID, A7 chip, 5 megapixel iSight camera and more. iPad Air 2 and iPad mini 3 will come in gold, silver and space grey colours and will be up for pre-order from tomorrow in 29 countries sales starting later next week. The first wave of countries to receive the iPad Air 2 are Australia, Austria, Belgium, Bulgaria, Canada, China (Wi-Fi models only), Czech Republic, Denmark, Finland, France, Germany, Hong Kong, Iceland, Ireland, Italy, Japan, Liechtenstein, Luxembourg, Macau (Wi-Fi models only), Netherlands, New Zealand, Norway, Poland, Portugal, Romania, Singapore, Slovakia, Spain, Sweden, Switzerland, the UK and the US. Availability in Croatia, Greece, Puerto Rico, Russia, Turkey, United Arab Emirates, and elsewhere around the world, will continue through the end of October with additional global availability in the coming months. As for the pricing, Apple has released the Indian price of the models and the iPad Air 2 with Wi-Fi will retail for Rs. 35,900 (16GB), Rs. 42,900 (64GB) and Rs. 49,900 for the 128GB model. iPad Air 2 with Wi-Fi + Cellular models will start from 45,900 for the 16GB model, Rs. 52,900 for the 64GB model and Rs. 59,900 for the 128GB model. iPad mini 3 with Wi-Fi models will sell for Rs. 28,900 for the 16GB model, Rs. 35,900 for the 64GB model and Rs. 42,900 for the 128GB model. Add Rs. 10,000 to each variant if you want a Wi-Fi + Cellular iPad mini 3. Interestingly, Apple will continue selling the previous generation iPad Air, iPad mini 2 and iPad mini models and will now start Rs. 28,900 for the 16GB iPad Air Wi-Fi model, iPad mini 2 at Rs. 21,900 and iPad mini at Rs. 17,900.